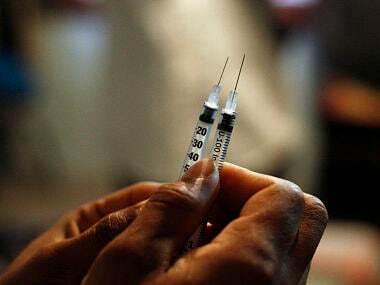 New Delhi: Left red-faced after two of their athletes were sent back home on charges of possession of needles during the recent Commonwealth Games, the Athletics Federation of India (AFI) has decided to implement a strict 'No-Needle' policy at all the national camps and training centres in the country. The AFI is one of the first among National Sports Federations (NSFs) to declare a 'No-Needle' policy, has drawn up a protocol, which will be circulated to all the athletes at national camps and training centres across the country. AFI President Adille Sumariwalla told PTI that the 'No-Needle' policy has come into effect immediately after it was declared yesterday. "We have declared the 'No-Needle' policy yesterday and it has come into effect immediately. We have drawn up a two-page protocol to be distributed to all our athletes at all the national camps and training centres across the country," Sumirawalla said. "We are zero tolerant in matters related to use of banned drugs by athletes and we are the first NSF to declare a 'No-Needle' policy in the country. We have intimated about this policy to Sports Authority of India also," he claimed. Recently, Indian Olympic Association (IOA) president Narinder Batra has said that he would ask the sports ministry to implement 'No-Needle' policy at all the national camps in the country across all sports. In order to the implement this policy, the AFI has formed a three member committee of coaches, which has been empowered to search the rooms of the athletes. Chief coach Bahadur Singh will head the committee while the other two members will be deputy chief coach Radhakrishnan Nair and chief coach (juniors) Sanjay Garnaik. 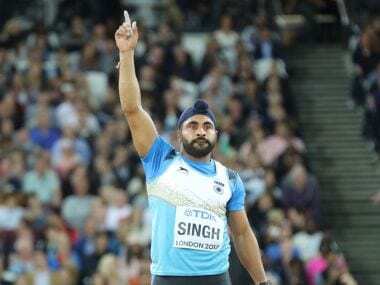 "This committee will be authorised to search the rooms of athletes and ensure the compliance of No-Needle' policy of the AFI," a circular issued on Saturdaysaid. "All the coaches are requested to give it wide publicity amongst athletes so that nobody is in possession of needle or any forbidden substance. Strict action will be taken against those who are found violating this policy." Sumirawalla said from now on, possession of needles inside the rooms of the trainees will be strictly prohibited. Those who require injections for genuine reasons, like for treatment of some illness, will have to do it at a particular place inside the campus and that too by the designated team doctor during the camp run by the AFI. "Now, needles are strictly prohibited inside the rooms of the athletes. In case, an athlete needs an injection to treat an illness or say he needs a vitamin injection, then he will have to show the prescription. "The athlete will have to go to a designated place inside the camp to have that injection and that too will be done either by the team doctor or a doctor provided at the camp for that job," the AFI president explained. He said the cases of athletes caught for possessing needles will be dealt by the Disciplinary Committee of the AFI. "We will shortly draw up a detailed procedure of how the cases of athletes caught with needles will be dealt by the Disciplinary Committee of the AFI. It is not going to be rocket science, it is a simple matter and athletes will not have any difficulty in understanding this policy." AFI's action came a month after 20km race walker KT Irfan and triple jumper Rakesh Babu were sent back home from the Commonwealth Games at Gold Coast on charges of possession of needles, in violation of the organisers' strict 'No-Needle' policy. The AFI and the IOA had filed an appeal before the Commonwealth Games Federation Court on the decision to send back the two athletes. 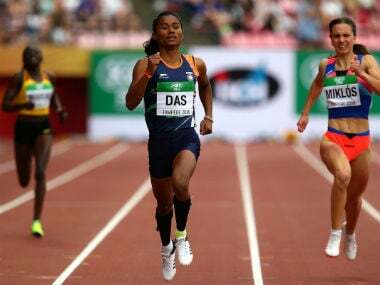 The federation has also formed a committee under top Haryana police officer and former SAI Secretary B K Sinha, who is also associated with athletics, to probe into the matter and suggest actions, if required. "AFI has shown its serious concern over the issue of needles found in the room of Indian Athletes during the recently concluded Commonwealth Games 2018, held at Gold Coast in Australia. The AFI had formed a committee to inquire into it and a report will be submitted very shortly," the AFI said.